Smooth creamy cheesecake with subtle caramel and buttery graham crust notes. This creation replicates the taste of true home-baked and NY cheesecakes and is not overly sweet. Hint: Sweet lover? Add a couple of drops of AltCig sweetener per 17ml for wonderfully sweet satisfaction. I thought I liked Gooey Caramel Cookie the best, but I tried this one, and now it's my favorite. Sweet and mild caramel, not at all harsh. 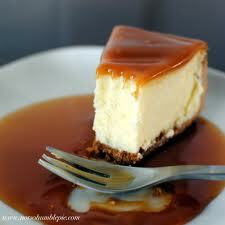 This is a pretty authentic representation of caramel cheesecake. Nothing about it is in your face - just a nice and mellow, relaxing vape.